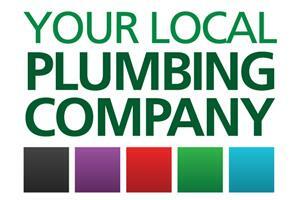 Your Local Plumbing Company - Central Heating Engineer, Plumber based in Hampton Hill, Middlesex. Your Local Plumbing Company has an outstanding reputation in the Boroughs of Richmond and Kingston Upon Thames, for our efficient, professional and value for money service. Our Plumbers, Electricians, Gas & Heating Engineers have a wealth of industry knowledge, experience and are highly trained in domestic and commercial plumbing, electrical, heating and gas services. You can arrange an appointment to meet with a surveyor, engineer or manager in our Hampton Hill branch. As Worcester Bosch accredited installers we include a 10 Year Guarantee on all Worcester Bosch boilers, supplied and installed by us. Finance packages are available on new Worcester Bosch boilers including interest free credit. You can choose to pay a small or large deposit to secure your booking and then decide on which of our packages work best for you and your budget over periods from 6 months to 10 years. We also undertake Commercial Catering for Bars, Restaurants, Hotels & Schools within our service area. Richmond, Kew, Ham, Twickenham, Teddington, Hampton, Kingston, Surbiton, Molesey, Thames Ditton, Esher, Walton on Thames, Sunbury on Thames & Feltham. We are "Your Local Plumbing Company" Quality, Peace of Mind and Value for Money.